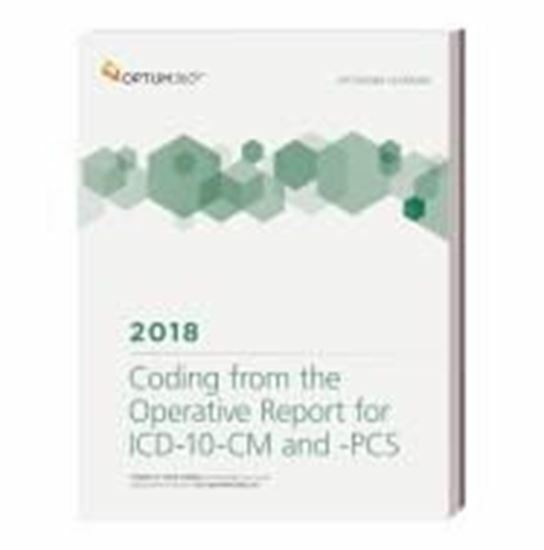 Coding from the Operative Report for ICD-10-CM and -PCS is an ideal resource for your inpatient coders to test their ICD-10-CM and PCS coding skills with detailed, inpatient cases. Your coding staff will be able to practice with these real-life operative report-based coding challenges. Optum360 Edge — Provides inpatient coders a real-life coding challenge. Optum360 Edge — Includes answer rationale. Explains the reasons for code choices. Includes 90 case studies demonstrating correct ICD-10 coding. New Appendixes. The 2018 ICD-10-CM and -PCS Official Guidelines for Coding and Reporting. Excellent for individual or group study.